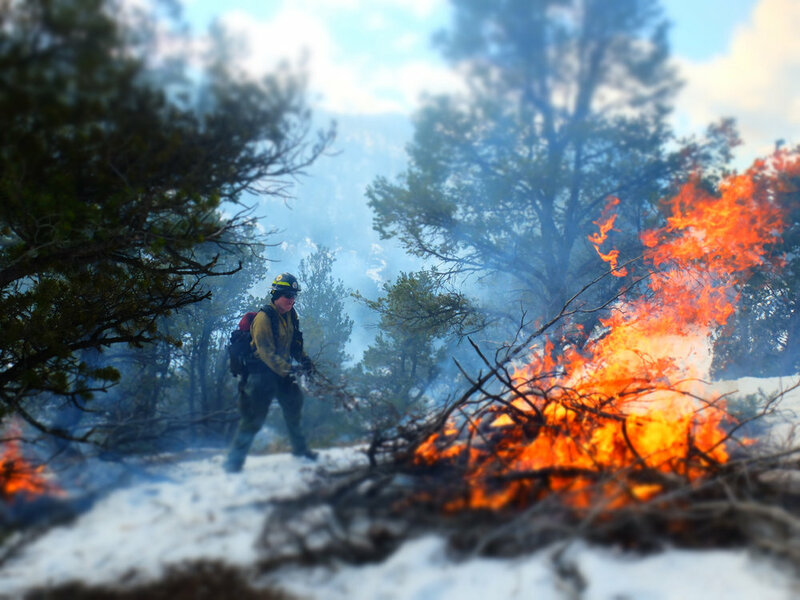 The Greater Santa Fe Fireshed Coalition uses a pro-active, collaborative approach to improve the health and long-term resilience of forested watersheds and communities by addressing wildfire. The Coalition works to build support, understanding, and shared knowledge of the role of fire in an adaptive framework to realize our goals. Our primary goal is to identify and implement high priority on-the ground projects that make the Fireshed and its communities more resilient to wildfire while maintaining and restoring resilient landscapes. This goal will be realized when fire is used as a tool for management throughout our fire adapted forests, and communities in and adjacent to these forests become fire adapted - they understand the role of fire and are prepared for its occurrence. Glorieta Camps prescribed burn postponed for Friday March 15th. Glorieta Camps prescribed burn planned for March to improve forest health and reduce wildfire risk. Wildfire moves across the land based on fuels, wind, and terrain and often moves in and out of drainages and watersheds. Wildfire operates at a large scale that connects the high country with downstream communities and resources. Because of these aspects, and in order to take steps to be adapted to wildfire, we need to think and act at the scale of a wildfire. A fireshed is an area where social and ecological concerns regarding wildfire overlap and are intertwined.